It helps to be prepared… And to make sure that you make the most of your time with us, we’ve got this helpful guide on how to set Python up the way we like, as it helps (especially if you are a beginner) if everyone has everything set up the same way, in the same place. 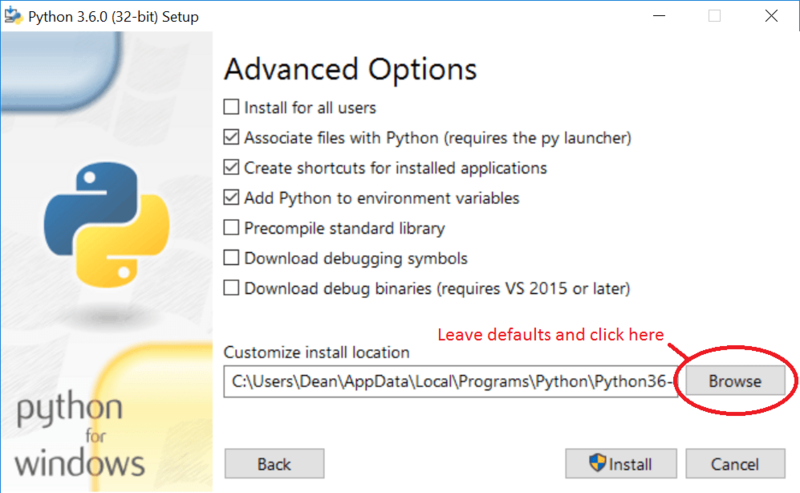 First, download the latest version of Python from here. 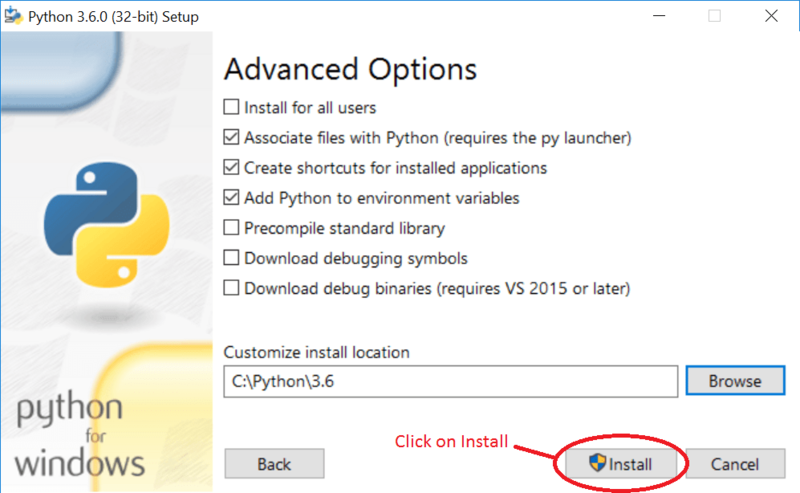 We are assuming in this guide that you are using Windows, though Python is also available for Mac and Linux. The version we are currently using in Cheadle CoderDojo is 3.6. Once the installer has downloaded, launch it. The first is where we are going to install Python. The second is where we will store all of our Python scripts. Then, launch the previously downloaded installer. Adding Python to path is handy, so check that. 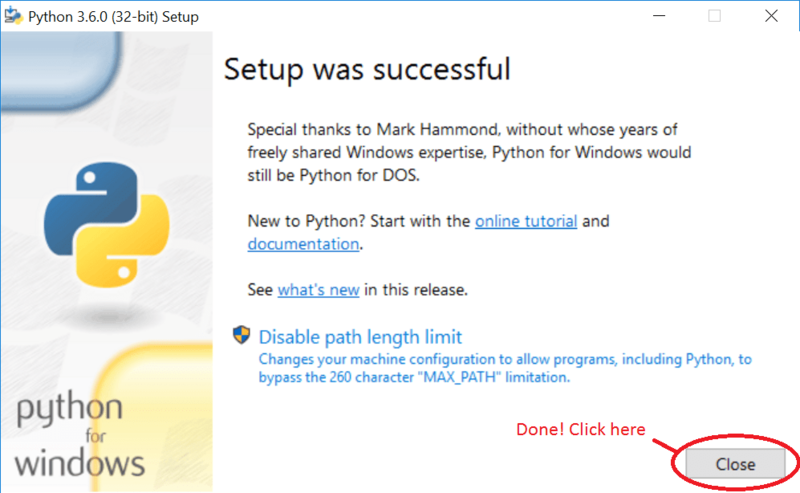 It means we can run Python from the command line from any directory. 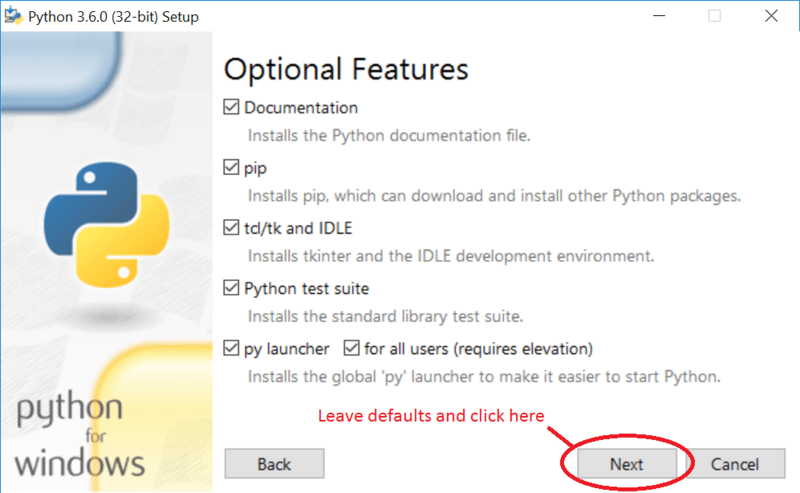 We want to put Python in the folder we created earlier, so click on Custom Installation. Just click through this screen; the defaults are sensible. 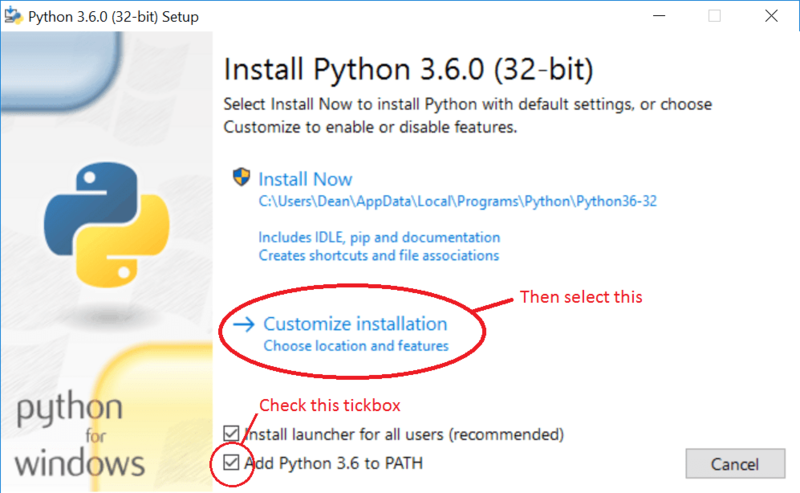 This is where we set the installation folder for Python. Click on “Browse”, and a pop up window will open. 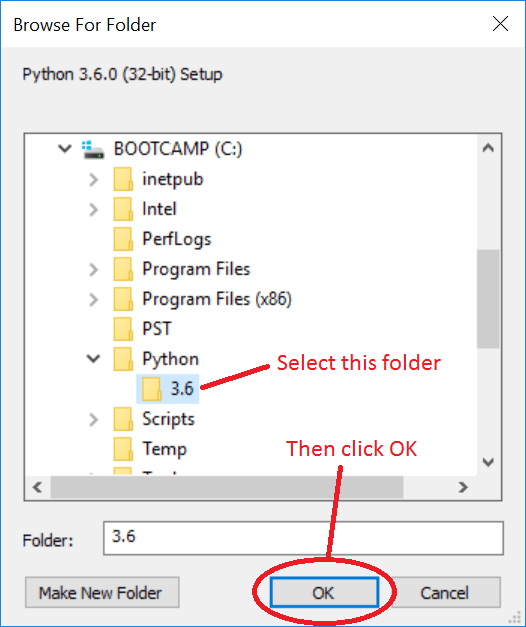 Select the folder we previously created (“C:\Python\3.6), then click on OK.
We’re good to install at this point, so click on Install.